The other evening as I sat in the living room with the porch door open I heard an insect flying around outside the screen door. I knew it had to be quite large just based on the sound. 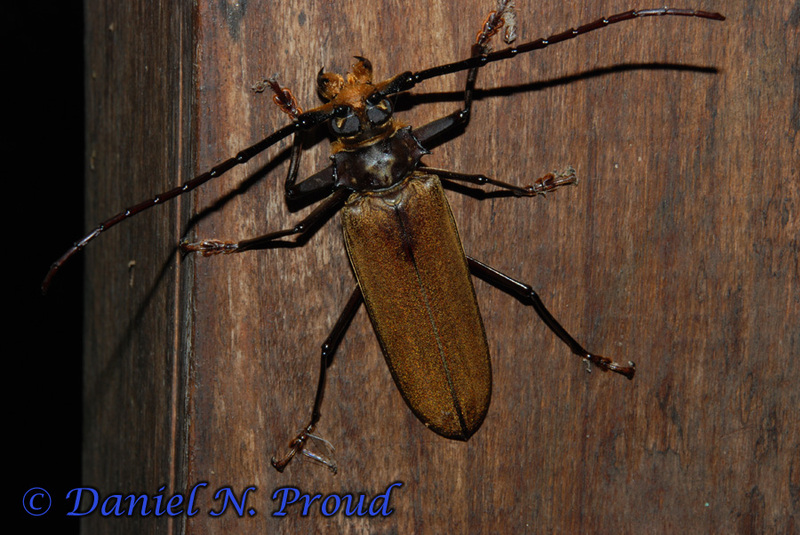 I went outside to investigate and found a monstrous longhorn beetle on the screen. I picked it up and put it in a container to keep it alive until morning when I could examine it more closely and take photographs under better light. 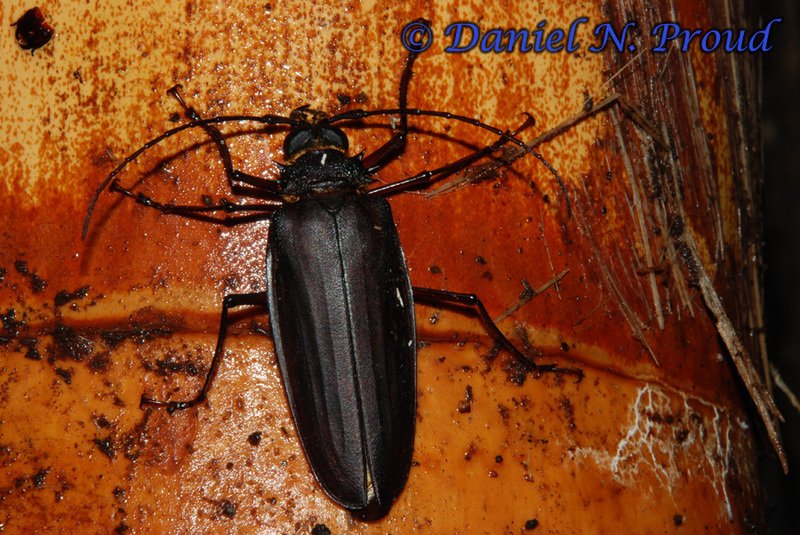 Attached are some shots of the beetle from Boone, NC, along with some pictures I had taken over the years of three species from Costa Rica, and some general information on longhorn beetles. The longhorn beetles are part of the insect order Coleoptera which includes all of the beetles and is the most diverse order representing about 20% of all described species of animals! However, there are still many more species that have yet to be discovered! Within Coleoptera, longhorn beetles belong to the family Cerambycidae. 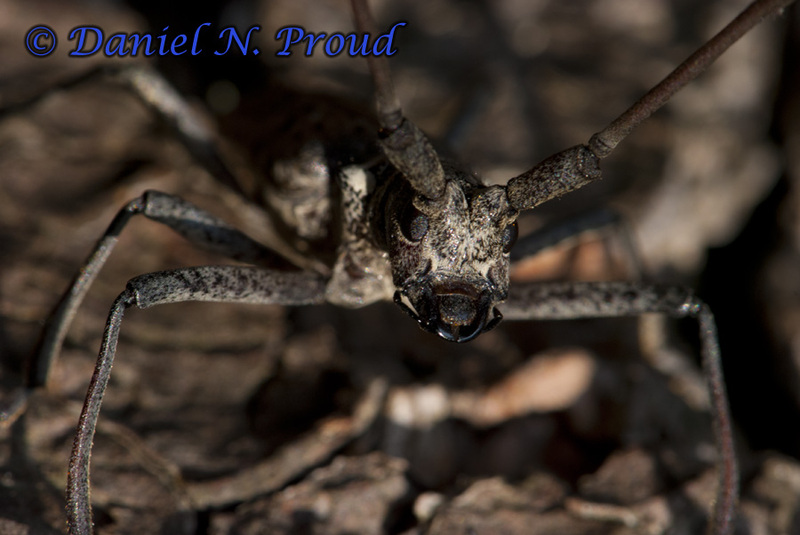 This family has roughly 20,000 species worldwide and about 9,000 in the western hemisphere (see Larry Bezark’s Photographic Catalog of the Cerambycidae of the World). You can see the great diversity of this family for yourself if you look through some of the photos on BugGuide.net. Needless to say, since I am no expert on cerambycids, this makes a positive identification of the species I photographed quite difficult. My best guess is Knulliana cincta (Banded Hickory borer), but several species look very similar and are differentiated based on body size, spines of the antennae and legs, and other minute details. For example, compare it to the species Parelaphidion aspersum. So you can see the difficulty in identifying something to species level for a non-specialist, and sometimes even for expert taxonomists! So I welcome any comments from anyone with insight on the species identifications of any of these cerambycids. The common name “longhorn beetle” comes from the fact that many species have antennae that are as long as or longer than the body. The species photographed here was more than 2.5 cm in length and the antennae were more than twice the length of the body! However, some species may be quite small (less than 1 cm) and the antennae are not always longer than the body. Many species are cryptically colored as shown above. Its incredible how well this organism is camouflaged on the trees! Consider that he would be even more well camouflaged if my flash hadn’t cast a shadow! Other species are quite colorful such as this one from Costa Rica (below). Below are two more relatively large species that were photographed at La Selva Biological Station, Costa Rica in 2009 (prior to having a macro lens). This individual here was found inside of a dead palm frond and was photographed on the smooth shiny surface of the bare palm tree for contrast. The specimen show below was found on a wooden window frame at the research station in Costa Rica. This entry was posted on July 3, 2012 by Dan Proud. 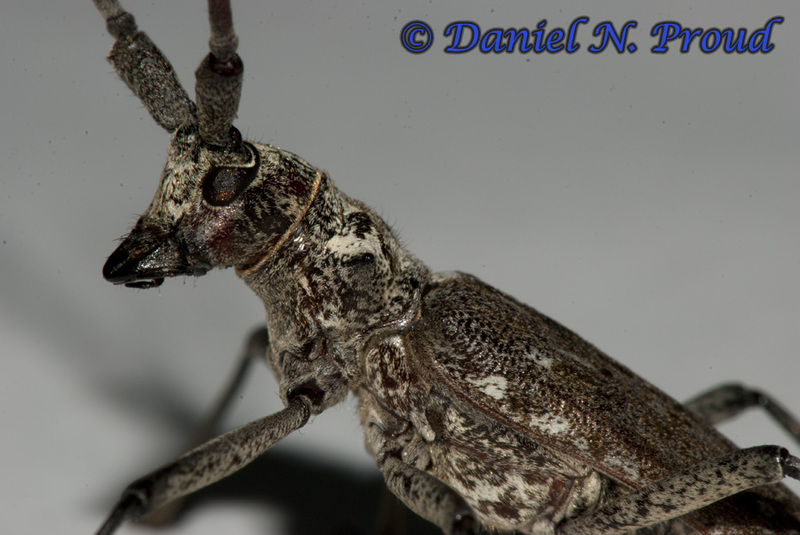 It was filed under Insects and was tagged with Cerambycidae, Longhorn Beetle, Photography. That top photo is amazing. It looks more like a deer than a bug. Thanks! I thought it was funny too for that same reason. Kind of looks like the head of a reindeer! I figured I’d let the imagination of the viewers take over rather than be suggestive of that in the post. Glad ya brought it up! Hi Dan – nice website you’ve got started here. The first longhorned beetle is the largest of our pine sawyers, Monochamus notatus – nice demonstration of its cryptic coloration in the third photo. 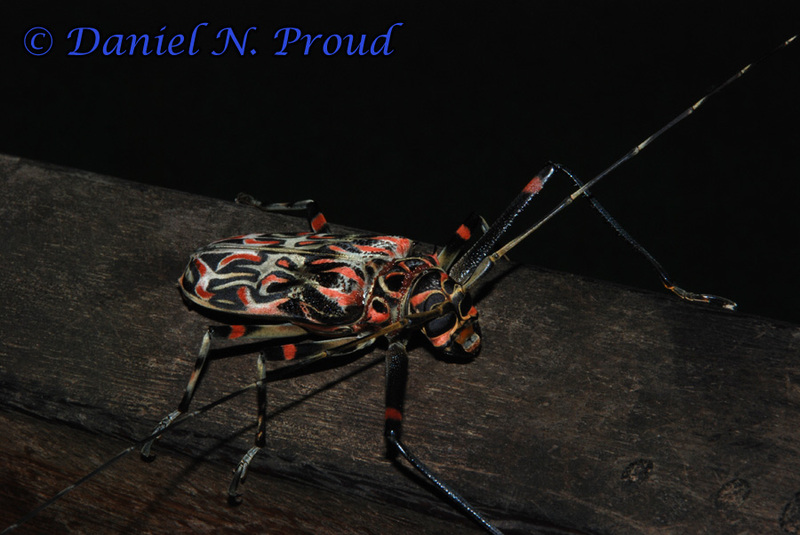 The second one is the Harlequin beetle, Acrocinus longimanus (the males have insanely elongated front legs – about twice the length of those of the female you show). The third is a species of Prioninae, but I’m not sure about the genus/species. The fourth is another prionine, looks like Callipogon barbatus. Hey Ted, thanks for the IDs on these species! 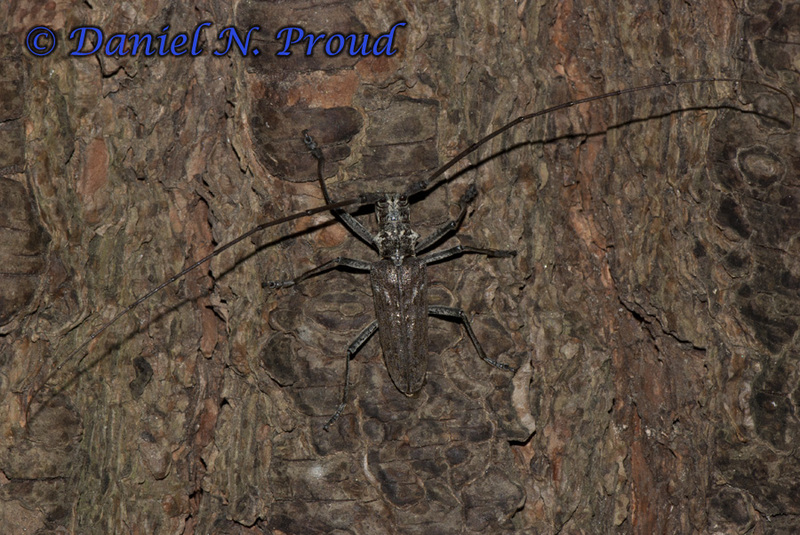 I love the longhorned beetles – they’re such a fantastic group! I always keep an eye out for these beetles. No the fourth one is Callipogon marechali. The third one is derobrachus sp. Thanks Rich! I updated the species name below each image. I also identified the second species shown as Acrocinus longimanus. I appreciate the helpful IDs! No problem! I collect callipogon of the world. Please let me know if you have one of those for sale! I am willing to pay for it!